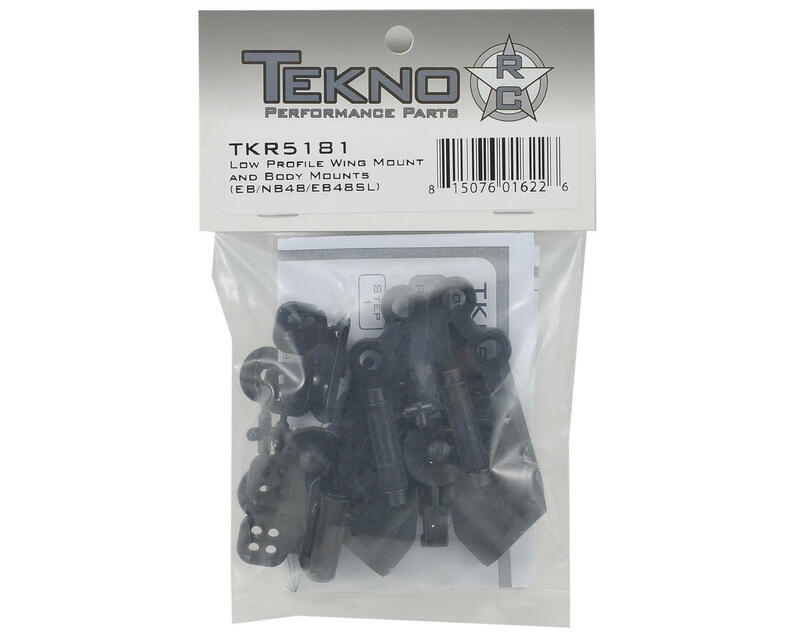 This is a replacement Tekno RC Low Profile Wing Mount and Body Mount Set. This is a low profile wing mount with added wing position adjustability. The wing sits 18mm lower than before in the lowest position. This increases stability and lowers the CG of your vehicle. The height can be adjusted 5mm higher however which will produce more downforce. Moving the wing position back and forth is now possible. The rear position will produce more traction while the forward position will allow for more steering and rotation. Of course the angle of the wing is also adjustable. The wing mount is 100% backwards compatible with the EB/NB48 and comes standard on the EB48SL. Tekno don’t recommend the LP wing mount for the truggies, but it is compatible. 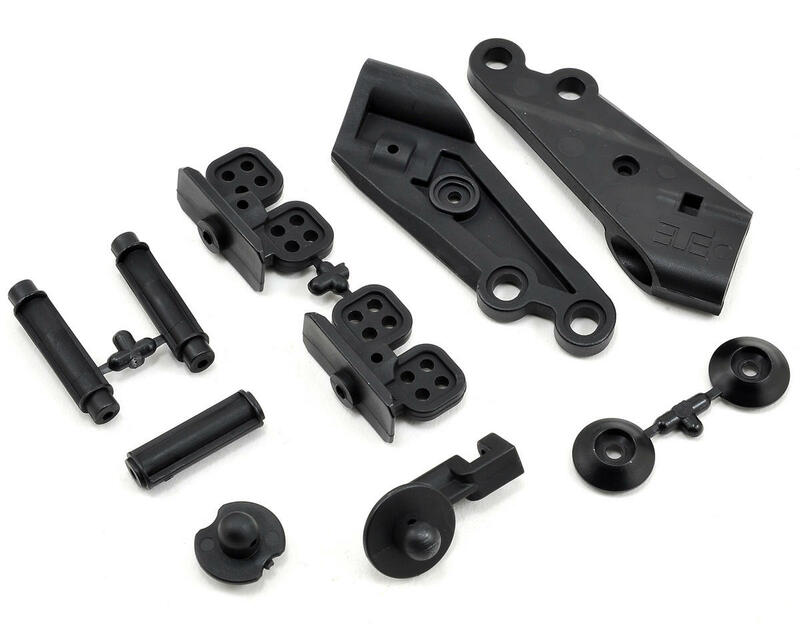 The body mounts are the same as the stock EB48.2 and NB48 body mounts. Brings the wings way down looks and drives better! !